ChangLeLeHuahardwareCo,.ltd,WeiFangLehua Distilery Co.,Ltd,ChangLeLeHua Plastics-Woven Co.,ltd,WeiFangkangLe Medical Apparatus &Instruments Co.,ltd.It produces annually 80,000 tons of various paint,1.5 million sqm of aluminium&plastics complsite panels,40 million pieces of packing products,50 thousand tons of hardware,20,000 tons of white spirit&alcohol,100 thousand tons of fertilizers,1,000 pieces of multifunctional medical beds and process 60 thousand tons of soybean.Its total annual volume of domestic&international trade reaches 300 million Yuan(RMB).Its turnover capacity of the special railway is 300 thousand tons every year.it is a large transrtgional conglomerate with its leading products outstanding. 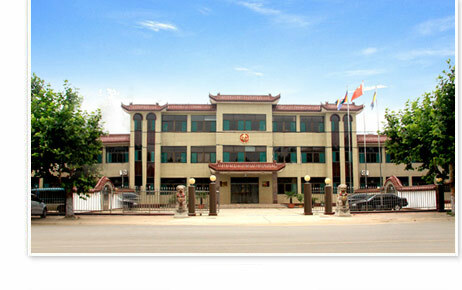 Of recent years,The group has won the titles of "the Best National Profitable Town&Township Enterpries"and"one of the Largest Town&Township enterprises" by the National ministry of Agriculture,"the national Advanced Town&Township Chemical Enterpries" by the Former Ministry of Chemicals,"the Provincial-Class Contract-Stressing,Promise-Keeping Enterprises" by ShanDong Industrial&Commercial management Bureau,"the AAA Class Credit Enterprises" by China Agricultural Bank ShangDong Branch,"the Large Enterprises of ShanDong" by shanDong Economy &Trade Committee.The president of the group Mr.ShenXiao Ye got "the ShanDong-prmoted Labour Medel",and won the titles of Labour Model in ShanDong","the Excellent Managers of National Town&Township Enterprises",etc. The headquaters of ShanDonglehua Group is located in souther part of WeiFang-the International Kite Capital,with QingDao,a clastal city in the east and ZIBO,a petrochemical city in the west.The company enjoys excellent conditions in the development of paint industry and other trades and is willing to provide you with the first class service. Mr.ShenXiaoye,the president and Mr.SunRong,the general manager and all staff members sincerely welcome all friends home and abroad for cooperation toward a better future.